LINCOLN, Neb. – Bill Moos has rolled with the punches. Now he is just on a roll. Nebraska’s 68-year-old athletic director has pulled off two of the splashiest hires in college athletics in the 18 months since he arrived, all while batting away criticism for leaving a hefty debt at his previous school and fending off social media rumors that forced the administration to issue a statement of support. “Bill is delivering exactly what we sat here and said in October of ’17,” chancellor Ronnie Green said. Flush with unprecedented amounts of cash – Nebraska received a record $50 million distribution from the Big Ten for fiscal year 2018 – Moos has been able to spend what he thinks is necessary to return the school to the upper strata of college football and elevate a long-struggling men’s basketball program. Hoiberg coached Iowa State to four straight NCAA Tournaments before leaving for the Chicago Bulls in 2015. He has deep family ties to the state and university, and Moos’ offer of a seven-year contract paying a total of $25 million closed the deal. Under previous administrations, Nebraska’s coaching pay was modest. Now the Huskers have the 10th-highest paid coach in football and 11th-highest paid in basketball. Moos said when he entered discussions about the Nebraska AD job, he recognized football and men’s basketball were on shaky ground. The football sellout streak that started in 1962 was ongoing, and basketball drew some of the biggest crowds in the nation, but trouble was on the horizon. The projects fueled a stunning cumulative debt that stood at $67 million in 2018 and was projected to top out at $84.9 million by the end of fiscal year 2023, according to an audit last spring. Ryan Durkan, former chairwoman of the WSU Board of Regents, said Moos presented a sound plan for paying for the improvements. But revenue fell well below projections, largely because of an underperforming Pac-12 Network. Durkan said Moos deserves credit for elevating the program and probably has been assigned too much blame for the ongoing financial mess. 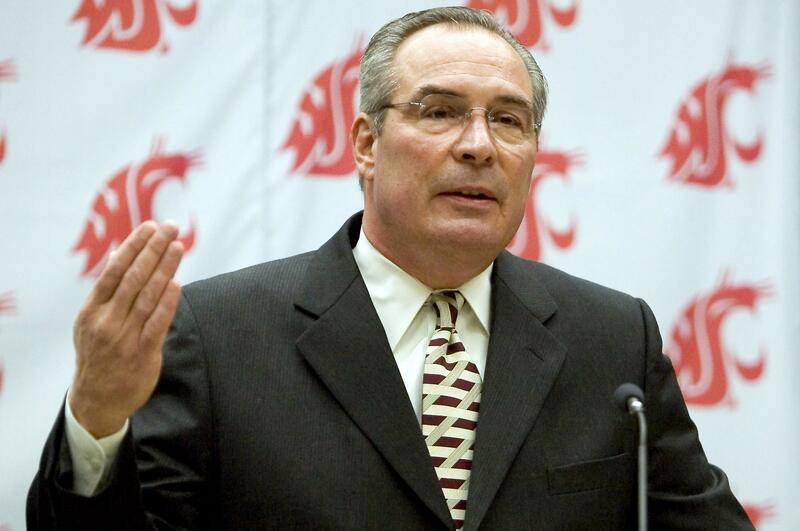 Moos said he had no regrets about his time at WSU. It hasn’t been totally smooth for Moos at Nebraska. In January, rumors surfaced on social media criticizing how Moos comported himself in public and predicting an imminent firing. University president Hank Bounds and Green, the chancellor, ultimately issued a joint statement of support. “It had gotten to a point of being so out of hand that (they) jointly snipped that somewhat in the bud and endorsed me, which they had all along,” Moos said. Published: April 8, 2019, 7:16 p.m.